Convene is the network of meeting, event & conference venues. As a Senior Product Manager at Convene, you will be responsible for designing, building, & scaling digital products across the organization. Youll be the quarterback for defining & building our internal tools that our business relies on. Youll work on a broad range of business initiatives & objectives by leveraging a wide set of technologies & tools. Our developers, product managers & stakeholders work in an agile process to efficiently deliver high value solutions to our customers. Interested in creating great process, an engine with many parts that runs flawlessly. Someone who enjoys working with a team of inspired, interesting & super-smart engineers & designers. Excited to contribute in a rapidly growing & successful company. You know how to have fun while you work. You take ownership of products & projects & drive them to completion. Innovate. We constantly improve our core products & turn a prescient eye to the industry. Identify & implement process improvements; clearly illustrate the process improvements in easy to understand flowcharts. Convene designs & services premium places to work, meet, & host inspiring events. Through strategic partnerships with prominent commercial landlords, Convene operates a network of hospitality-driven locations in Class A office buildings across major U.S. cities, with plans to expand globally. 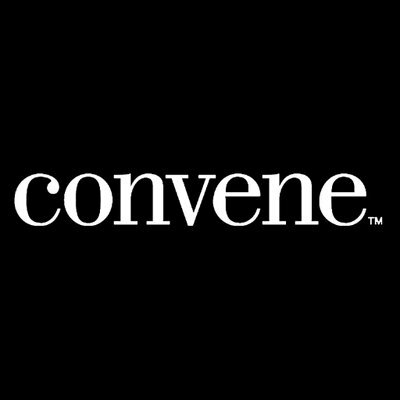 Convene has raised $260M in equity funding to date, & has been named one of Americas 100 Most Promising Companies by Forbes & a Best Workplace by both & Fortune Magazine. 2018 Fortune Best Small & Medium Workplaces U.S. In everything we do, we strive to put the people we do it for first. This starts internally: we believe our values drive behaviors to create culture. Together were building a culture that embraces diversity & learning, humility & gratitude. At the same time, we try not to take ourselves too seriously & strive for a healthy integration between work & personal pursuits. Generous professional development policy that includes funds earmarked for each employee's discretionary professional growth. Have a conference you want to attend? A class you want to take? If it's helping take your career to the next level, we support it. Each employee is required to have 65 hours of learning per year. Convene is committed to building an inclusive & diverse workforce. We are an Equal Opportunity Employer & welcome people from all backgrounds, experiences, abilities, & perspectives.